With the Testing Framework tool, you can create and run automation tests of WAY4 components. It means a more reliable process of continuous integration and faster delivery of new features to the production system. The new release comes with several enhancements of Testing Framework. WAY4 users can now automate testing of Mastercard, Visa and domestic schemes protocols, and more specific protocols, such as OpenWay H2H and OpenWay POS. You can also test your own dialect of the ISO8583 messages by adding it to the test project. This option focuses on the fields of your choice, their presence and values in the resulting messages. For example, you can track discrepancies for the Field 039 (Response Code) only. Use this mode if the message content per se does not matter. For example, you are creating a test script but do not know the field values yet. An error would mean the complete absence of the expected message. It is now easier to prepare scripts for EMV transaction testing and test the operations which involve cryptographic checks. We’ve enabled the generation of chip data within Testing Framework. If the system tester enters the card, terminal and keys parameters, the tool automatically calculates the DE55 security field value. It is now easier to find discrepancies in the reports resulting from ISO8583 message testing. The reports show all inward and outward messages chronologically and highlight all discrepancies graphically. 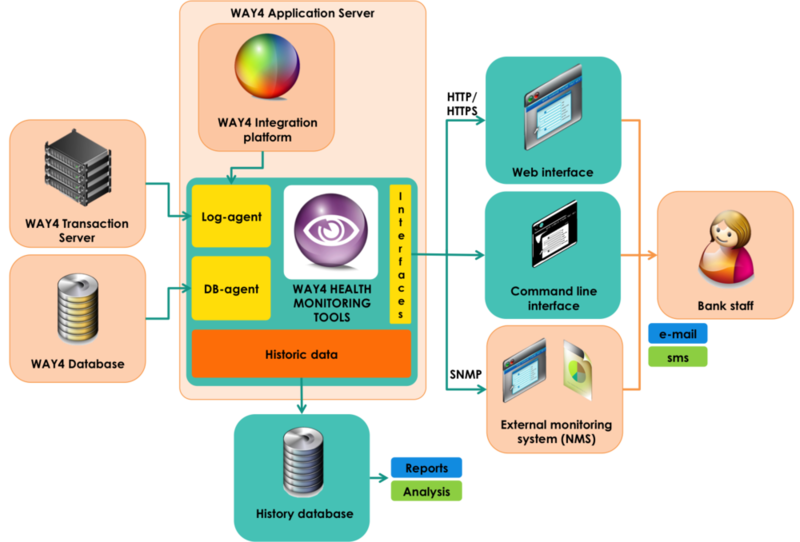 WAY ATM controller: the WAY4 system emulates a request from the ATM to the ATM controller and checks the response content. Testing Framework now supports the NDC protocol. The DCC protocol will follow shortly. WAY4 3-D Secure ACS: the tool emulates a 3-D Secure authentication process on the issuer’s side. Testing Framework sends/receives prepared pairs ofVEReq/VERes, PAReq/PARes messages. Then it sends an ISO8583 message to the payment scheme. Our team is keen to assist you in building a reliable process of continuous integration and increasing the speed of new features delivered to the production system. We present new tools that will help you organize your pre-production activities for better speed-to-market. WAY4 reports (e.g. cardholder contract statement), etc. The WAY4 Testing Framework allows you to create a machine-readable testing project which consists of multiple test suites, test sets and test cases and then run the tests in manual or automatic modes. The solution will compare test results from the test run with pre-saved expected results and define if the test passed or failed. The solution generates user-friendly interactive test reports that show the total regression test statistics and details of each particular test. Now you can compare the configuration of two or more WAY4 instances and see what they do and do not have in common. The elements that are different can be transferred from one instance to another. You can also save a backup copy of a chosen configuration. The data which can be managed are table records, business rules, system settings, FI hierarchy, product settings, global parameters and other configuration elements. However, the tool does not work with sensitive data, such as client profiles, contracts, documents and custom forms. Configuration Management Tool helps you prove a new functionality in a test environment and then deploy it more safely in production. It saves time and resource spent on manual database setup and minimizes the possibility of human errors thanks to the copy process automation. Now you can test different copies of the WAY4 database and choose the most suitable configuration(s) without compromising real business data. The Clone Wizard creates an empty WAY4 data scheme with an identical configuration to a chosen node. You can clone table records, business rules, system settings, FI hierarchy, product settings, global parameters and other configuration elements. However, the tool does not work with sensitive data, such as client profiles, contracts, documents and custom forms. The solution has been already proven in live environment operations. Since Oracle is terminating support of Oracle Reports, we have chosen JasperReports Server as replacement. The new platform provides broad functionality for building standard reports in WAY4 at a reasonable cost of ownership for our customers. JasperReports is one of the market leaders in this segment, being used by various companies globally. 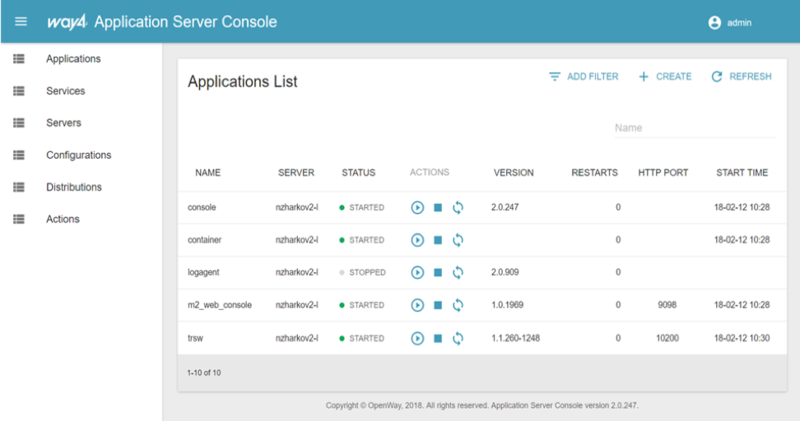 Now OpenWay is integrating WAY4 core applications – DBManager, WAY4 Manager and WAY4 Web Workbenches – with JasperReports Server. Our next major system release will already include some reports powered by the new platform (in addition to similar reports powered by Oracle). We are developing the new console, version 2.0. Soon you’ll be able to update all your nodes from a selected one. Such centralized management will be possible even for nodes distributed across different countries or continents. It means less time and less resources to accomplish future updates. The multinode console will maintain the unified storage of distributives as well as the storage redundancy. Now the components of WAY4 High Availability Cluster can be monitored as well. The system gathers and analyzes information from all nodes ensuring 24/7 trouble-free operation.